This comprehensive, easy-to-use resource on modern polymeric materials serves as an invaluable addition to reference collections in the polymer field. "This book should be in most libraries where the student can find beginning data on many topics in polymeric materials." 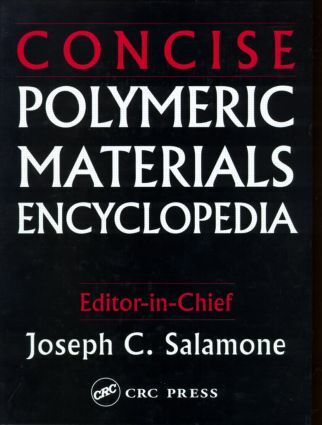 "…the quality of the articles and the reasonable price make this an excellent purchase for institutions with science programs that do not own Polymeric Materials Encyclopedia; those with undergraduate concentrations in polymer science or graduate programs in polymer science, chemical engineering, chemistry, or biotechnology will require the entire parent set." "This concise version would be a good addition for a collection, which did not contain the main work. It would be a handy reference work for a researcher to have in office or laboratory."